It's not often you see a couple marrying twice in their life after divorcing the first time. Perhaps such pairs were always meant to be together but they just could not see it during their first period of togetherness. 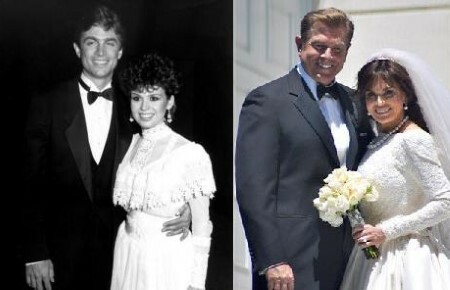 Marie Osmond who married multiple times in her life exchanged vows with her current husband two times three decades apart. They are living blissfully currently, but it was not always the case for this duo as they had some differences they were unable to resolve, leading to a brief married life that ended pretty soon. Marie Osmond is married to her husband Stephen Lyle Craig. Interestingly, they married not once but twice. Steve is, in fact, Marie's first as well as third husband. We'll get to in a bit who her second husband is. Meanwhile, the couple's first marriage took place in 1982. This duo remained married for merely three years as they ended up divorcing in 1985. Decades later, the couple reconciled and tied the knot again on 4th May 2011 in Las Vegas. It all began for this pair when they first met five years prior to their wedding. The couple dated 18 months before sharing their wedding vows for the first time on 26th June 1982. The duo welcomed their first child, a son named Stephen James Craig on 20th April 1983. Marie then filed a divorce in October 1985 citing "mental cruelty". In a 2010 interview with Oprah Winfrey, Marie revealed Steve always wanted to have a family and travel the entire world. She went through mental trauma after one of her adopted son Michael Bryan took his own life at the mere age of 19. Bryan committed suicide in February 2010 when he jumped from the eighth floor of his apartment building in Los Angeles. Merely a year later after her son's death, the former married couple reconciled their differences and ended up exchanging their wedding vows on 4th May 2011 in Las Vegas. The pair's son Stephen was crucial in getting back his parents together. Marie later revealed she chose the 4th of May as her big day in the memory of her deceased son and her mother. She reportedly wanted them to be present at the wedding in spirit. The ceremony was held at a Mormon temple. The subsequent reception took place at their home in Nevada. Noticeably, Marie wore the same wedding dress designed by Ret Turner that she had put on nearly three decades ago during her first wedding with the same man. Even though the first marriage between the pair was short-lived, the couple appears to be enjoying a blissful married life in their second innings. So far there are no reports of any conflict between the lovebirds while they look as adorable as ever. 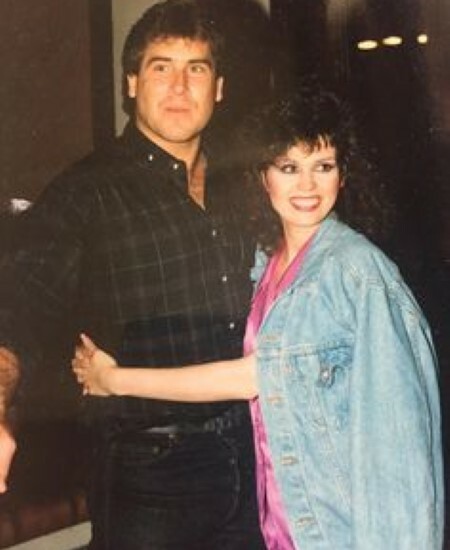 Marie Osmond was previously engaged to an acting student at the time named Jeff Clayton back in 1979. However, the pair ended up calling off their engagement the same year in July because of the lack of full commitment. Both parties felt marriage was too big for them and commitment was too big, turning them skeptic whether they were ready to fulfill it. This resulted in their relationship ending prematurely. Osmond later revealed she was in the prime of her career and marriage would have robbed her off further success. She claimed balancing her personal life with her professional career was a huge challenge at the time which she was not ready to take up yet. Marie Osmond walked down the aisle for the second time on 28th October 1986. She got married to Brian Blosil at the Jordan River Temple in Utah. The couple shared two children together. They welcomed their first child, a daughter named Rachel Lauren Blosil in 1989. Almost a decade later, their son named Matthew Ricard Blosil was born in 1998. Marie and Brian went on to adopt five other children named Jessica Blosil, Michael Blosil, Brandon Blosil, Brianna Blossil, and Abigail Blossil. In 1999, the couple separated for a few months before getting back together. Perhaps the signs were already there the fact that they were not meant to last a lifetime. Inevitably, the duo separated after two decades on 30th March 2007 through mutual agreement. The reasons for their split was never specified. Born on 13th October 1959 in Ogden, Utah. Her birth sign is Libra. Her parents were Olive May and George Virl Osmond. She has eight siblings, all brothers named Virl Osmond, Tom Osmond, Alan Osmond, Wayne Osmond, Merrill Osmond, Jay Osmond, Donny Osmond, and Jimmy Osmond. She was raised as a member of The Church of Jesus Christ of Latter-day Saints. When she was four, she made her debut as part of her brothers' act The Osmond Brothers on The Andy Williams Show. She is a pop entertainer who co-hosted a variety show called The Osmonds alongside her brother Donny. She gained success as a solo country music artist in the 1970s and 1980s.